Made for Little Gents – Page 10 – Boy mom of 3. Inspiring the world to craft and sew for boys, one project a time. Sew a Shirt for your Boys: Patterns for Pirates Sale! I had a completely different post planned for today, but when I jumped on Facebook and saw an invite to a sew-along for the Patterns for Pirates Henley Tee, I had to join in and tell you about it. P4P offers different sized patterns for children, men, and women, and they’re all on sale! Use “henleysal” at checkout to get $3 off (sale runs through Jan. 20). If you want to make patterns for everyone in your family, they offer a bundle as well for an additional discount. Woot woot! I’m a sucker for sales, and becoming a sucker for P4P patterns as well. I’ve done their raglan tee and Cptn. Comfort pants so far (post pending! ), and have a few more patterns on the queue. The patterns formatted so nicely and the pages are the easiest to put together! (In fact I’m using them as an example for making my own patterns, like this toy drum). The instructions are easy to follow, so anyone can complete their patterns at any skill level. I was planning on doing one for Mr. R, Mr. A, and my hubby but when the boys found this fabric at Joann I decided to leave the hubby out. Not so sure he’d like kids’ alien print on his shirt, haha! Happy belated New Year, everyone! Are you a new year goal maker, or do you prefer to make goals on your own timing? I try and analyze how I’m doing and make new goals several times a year, but the new year holds a special place in my mind for really finding ways to improve and progress. Especially this year. As alluded to in previous posts, 2017 was like living on the sea with no direction – just bobbing around, never settled to the ground, not really sure when storms might come and settle. We are originally from Utah, but spent the first eight months in Alabama acclimating to a completely different culture. We moved back to Utah, lived in my parents’ basement for four months while we had a baby born with Down Syndrome and our oldest started kindergarten, and right after Christmas moved into our newly built house! There’s lots of settling down and home-making to do, and you’ll be seeing lots of that appearing here over the next year. 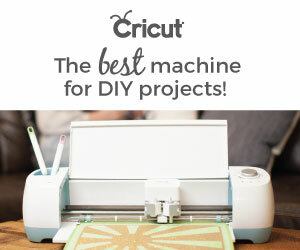 Plan on seeing not only sewing projects, but kids crafts, tips on raising boys, woodworking, and decor projects. The goal is to post every Wednesday, so look forward to plenty of inspiration! On that note, have you heard this quote from Peter Pan before? “To live will be an awfully big adventure!”* A friend of mine has this quote in her son’s nursery, and when I saw it I knew Mr. L needed it in his nursery as well. Something about him having Down Syndrome makes me realize how precious life really is, and that life really will be an adventure for this little boy!